Dr. Acacio has had some of the highest IVF success rates in Southern California. His outstanding academic credentials and extensive clinical experience have been vital in achieving major breakthroughs and successes in many challenging cases that have experienced IVF failure in prior treatments. Highly respected by his peers, Dr. Acacio is often consulted by other physicians who come to him for infertility evaluation and treatment. Patients describe him as being personable, kind and encouraging. His dedication to excellence and compassionate care are motivated by his passion for what he loves doing best – helping patients attain their dream of parenthood. 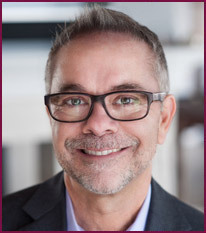 Dr. Acacio is frequently named among the top reproductive endocrinologists in California and the United States. He received a Vitals Most Compassionate Doctor Award in 2010 and a Patients Choice Award in 2014 and was a “Top Doctor” in Orange Coast Magazine in 2016. U.S. News & World Report has also recognized Dr. Acacio among the top 10% of reproductive endocrinologists in the country. Brian Acacio, MD, FACOG is board-certified in reproductive endocrinology and infertility as well as obstetrics and gynecology. A graduate of UC Irvine, Dr. Acacio received his medical education at George Washington University School of Medicine. Dr. Acacio completed his 4-year obstetrics and gynecology residency at the Los Angeles County (LAC)-University of Southern California (USC) Hospital. Dr. Acacio also completed his sub-specialty fellowship in reproductive endocrinology and infertility (REI) at LAC-USC, as well. He is a fellow of the American College of Obstetrics and Gynecology (FACOG). Dr. Acacio holds memberships in the prestigious American Society for Reproductive Medicine (ASRM) and Pacific Coast Reproductive Society (PCRS). As assistant clinical professor at UCLA, Dr. Acacio has been actively involved in teaching and training other physicians over the years. He is the division head of REI in the department of obstetrics and gynecology at the Kern Medical Center in Bakersfield, California, having trained ob/gyn resident physicians at that institution for the past 11+ years. Residents of California's Central Valley Area (Kern County) can now receive convenient care at his satellite office fertility clinic in Bakersfield. Dr. Acacio is active in research and has over 50 publications and lectures in nationally recognized peer reviewed journals and conferences. He donates his time to give presentations/lectures on topics such as polycystic ovarian syndrome (PCOS), recurrent pregnancy loss (RPL), male factor infertility, and reproductive surgery. He has been featured in interviews on National Public Radio (NPR), NBC and several local news stations. Dr. Acacio serves as a director on the Board for Fertile Action. Dr. Acacio is licensed to practice medicine in California. He has medical staff privileges at some of the leading hospitals throughout Southern California, including Mission Hospital (where he volunteered and worked in the pharmacy as a youth), Kern Medical Center, and Mercy Southwest Hospital. 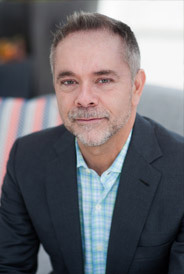 On a personal note, Dr. Acacio enjoys surfing, golf, art, reading, traveling and spending time with his wife and two daughters. The workflow of a comprehensive fertility clinic like Acacio Fertility Center requires precision in timing and diagnostic/treatment procedures. As a patient, benefit most from a team of experts who are not only technically skilled, but also caring and compassionate. Dr. Acacio works with a stellar team of experts, all with big hearts. "When I started my fertility journey as a patient at the age of 27, I never knew the joy or depths of despair I would have to experience in order to have a family. It is this journey that has brought me to the Acacio Fertility Center as the clinical manager. “After 16 years and 10 cycles of fertility treatment I can proudly say I am a mother of 4 wonderful children, a dream I never thought possible. It is because of this journey that I bring hope for our patients and believe in their potential to become parents. Dr. Acacio believes in giving everyone a chance to try, and he works with each patient based on individual history and needs. His personal touch, accessibility and profound kindness make the Acacio Fertility Center the place of choice for all who are looking for hope and someone to trust." Complementing her nursing degree from St. Benedict College, Sylvia earned a masters degree in social work from the University of Illinois, Chicago. She has demonstrated tenacious devotion as a nurse, as well as relentless advocacy for those who wrestle with the uncertainty and tremendous challenges or infertility. Over a span of 31 years, Sylvia has worked with cancer patients, medically disabled children and hospice patients. Her experience has been shaped by a myriad of responsible roles, from being an ICU nurse, to nursing administration in a critical care unit at the University of Chicago, teaching positions in college nursing programs and manager of home care for the terminally ill. Prior to joining Dr. Acacio’s team several years ago, Sylvia worked at the Fertility Centers of Illinois for 10 years. Subsequently, she was the program coordinator in the women’s health program at Loyola University Medical Center in Chicago, where she did research in menopause and managed all aspects of female patients’ care throughout their lifespan. Discover today’s most advanced REI clinic and compassionate care at Acacio Fertility Center. Use our convenient Request an Appointment form.